Bristol Model Railway Show held in Thornbury Leisure Centre, Thornbury, South Gloucestershire, 3rd, 4th and 5th May. Gloucestershire Warwickshire Railway. Cotswold Festival of Steam. 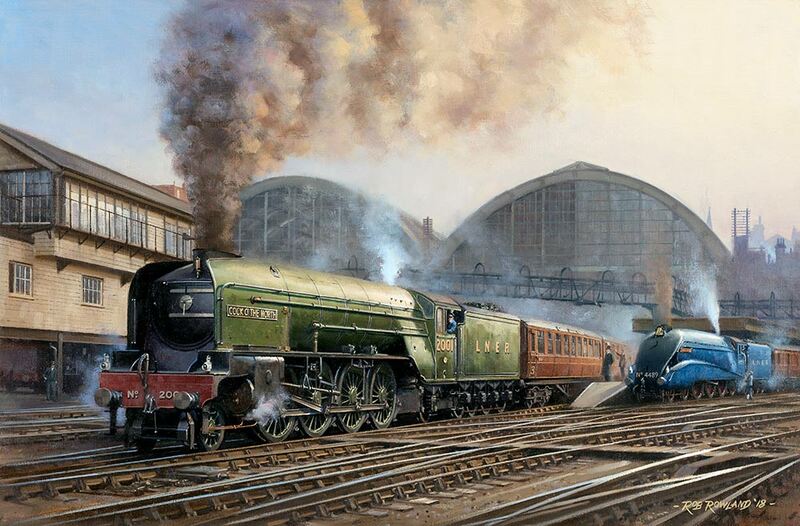 I shall be in the marquee at Toddington Station, Saturday 25th, Sunday 26th and Monday 27th May. Hucclecote Model Railway Show. Hucclecote Methodist Church, Carisbrooke Road, Hucclecote, Gloucester, Saturday 15th June. GW Railwayana Auctions in Pershore High School, Station road, Pershore, Worcestershire, Saturday 13th July. Swindon Railway Festival. Steam Museum, Fire Fly Avenue, Swindon, Saturday 7th and Sunday 8th September. Severn Valley Railway Autumn Steam Gala. I will be in the waiting room, Platform 2 Bridgnorth Station, Bridgnorth. 19th, 20th, 21st and 22nd September. 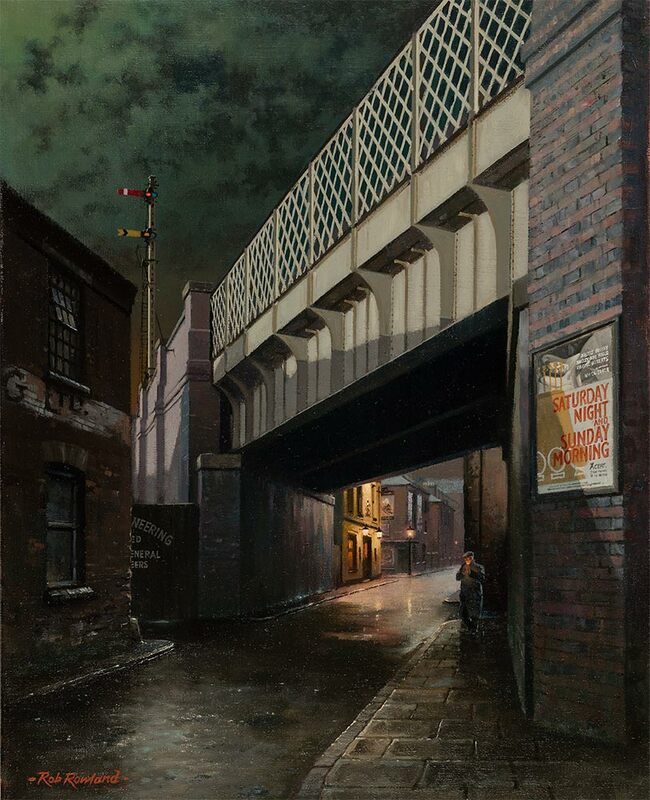 I was born and raised in the Midlands during the 50s and 60s in an environment of cobbled streets, gas lamps, back yards, canals and railway viaducts; and all I ever wanted to do was to work somewhere in the professional art industry. 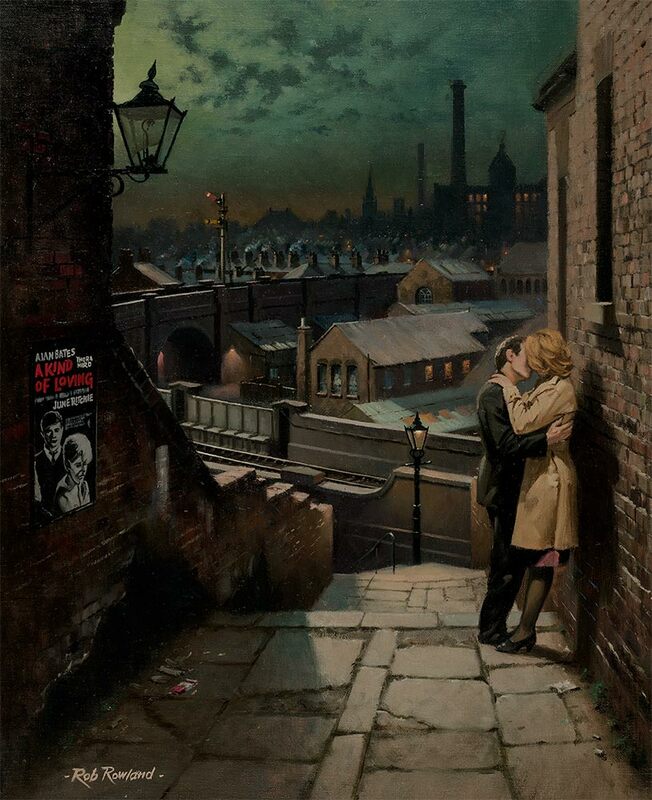 I considered special effects, cinema poster art and commercial art but took up the opportunity to work in a picture restoration studio. I went on to graduate from Gloucestershire College of Arts & Technology and a period as a freelance graphic designer followed before being employed in the art and design department of a national brewery designing and painting traditional inn signs. 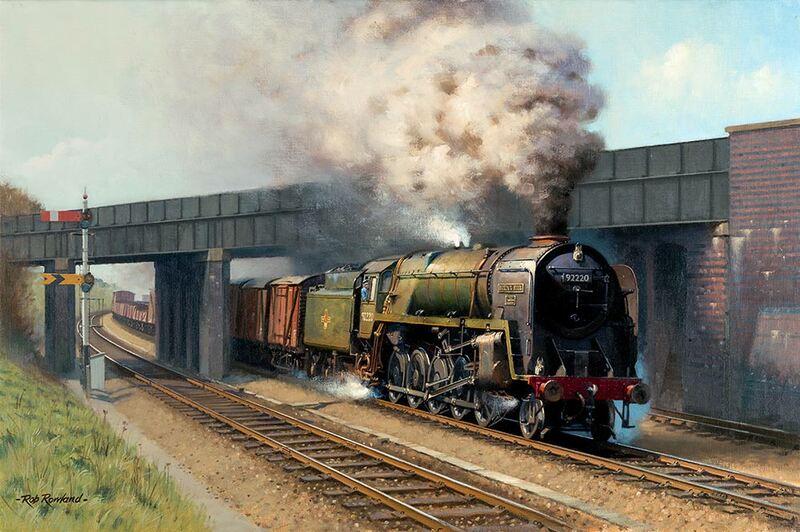 It was while working on themes to coincide with the Great Western Railway 150th anniversary celebrations in 1985 that I became fascinated with depicting railways in my own painting and later with other aspects of our industrial heritage. I prefer not to analyse where my inspiration comes from but can guess that it derives from my childhood and upbringing. The era of the Industrial Revolution despite all of its moral and economic ambiguities, man working more closely with the earthly elements and the interweaving of nature and industry provide me with all the ingredients I need. In 1991 I started to work independently. By now my interests had broadened into areas of marine and landscape due to major influences of the Victorian and early twentieth century period, particularly artists such as John Singer Sargent, Lamorna Birch and Stanhope Forbes of the Newlyn School. Although I paint mainly in oils I do sometimes use watercolour, depending on the type of subject and how I want to express it. 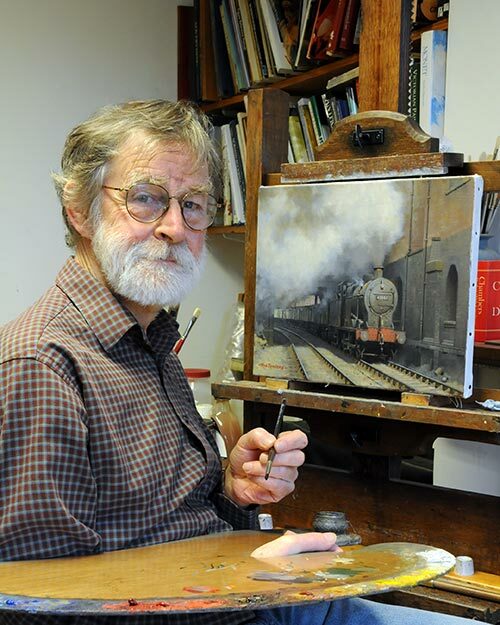 I have been a member of the Guild of Railway Artists since 1987 and of the Gloucestershire Society of Artists since 1982. Please enjoy paintings in my Gallery. Some are fictional while others are historically correct and express something words cannot always do. As Constable once remarked... "Painting is but another word for feeling."